Swap faces, enjoy a new module! 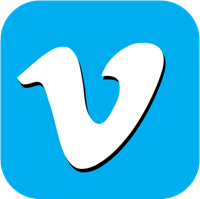 A single piece of paper can be folded into innumerable shapes. 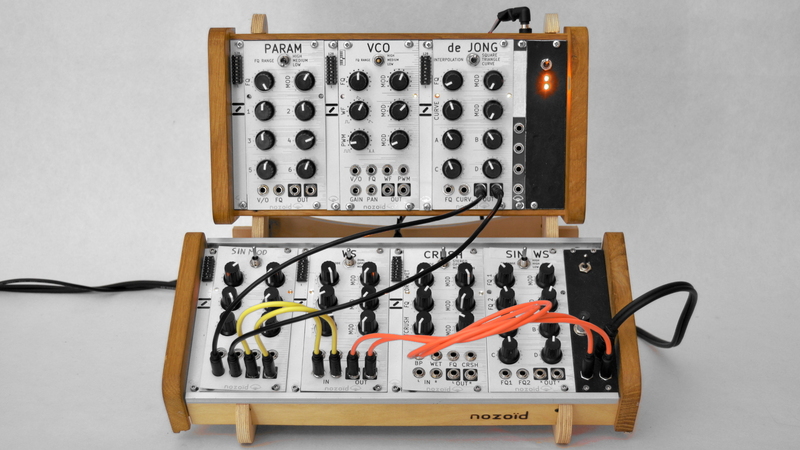 In the same way, a single Nozori platform can morph into multiple eurorack modules. Changing modules is as simple as switching jumpers position! 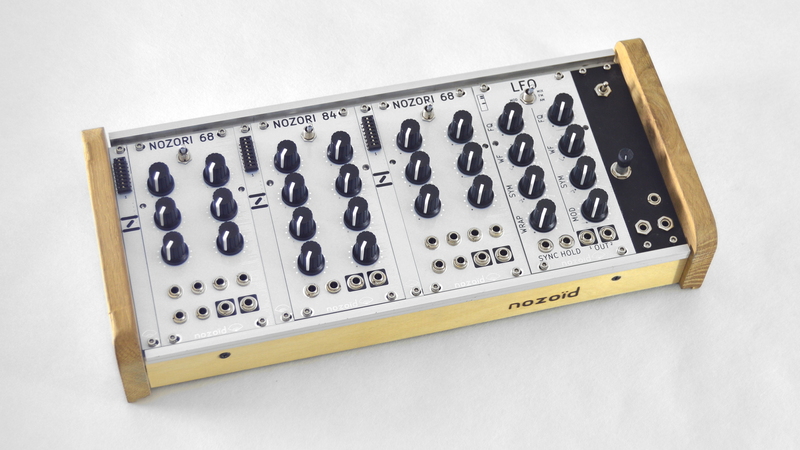 The Nozori concept consist of using the same hardware for multiple modules. 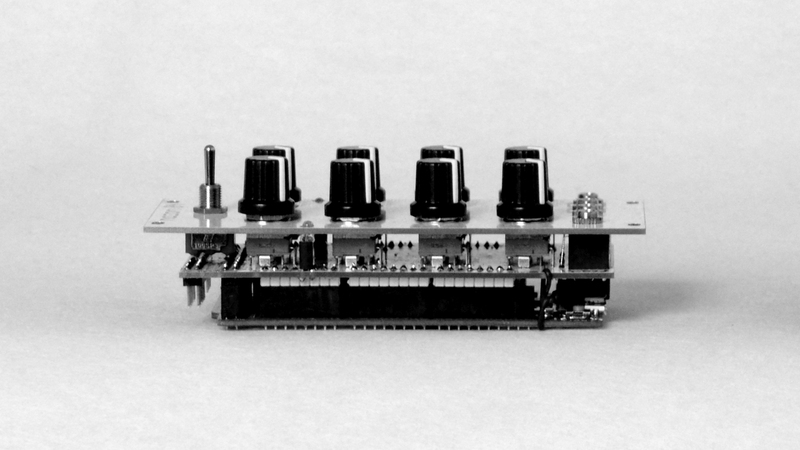 This hardware is based on a powerful digital core to allow huge versatility. 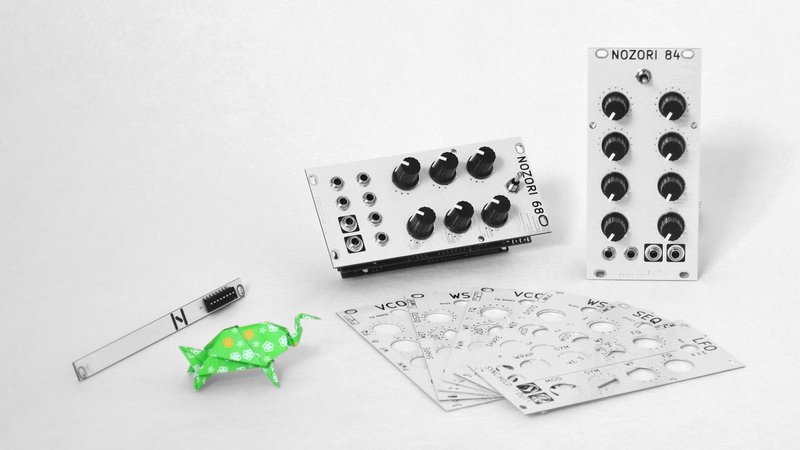 Potentiometers, inputs or outputs can adapt to many module designs: from standard modules like VCO, VCF or LFO to outstanding functionality never seen before, you will find lots of uses for your Nozori module in your rack. 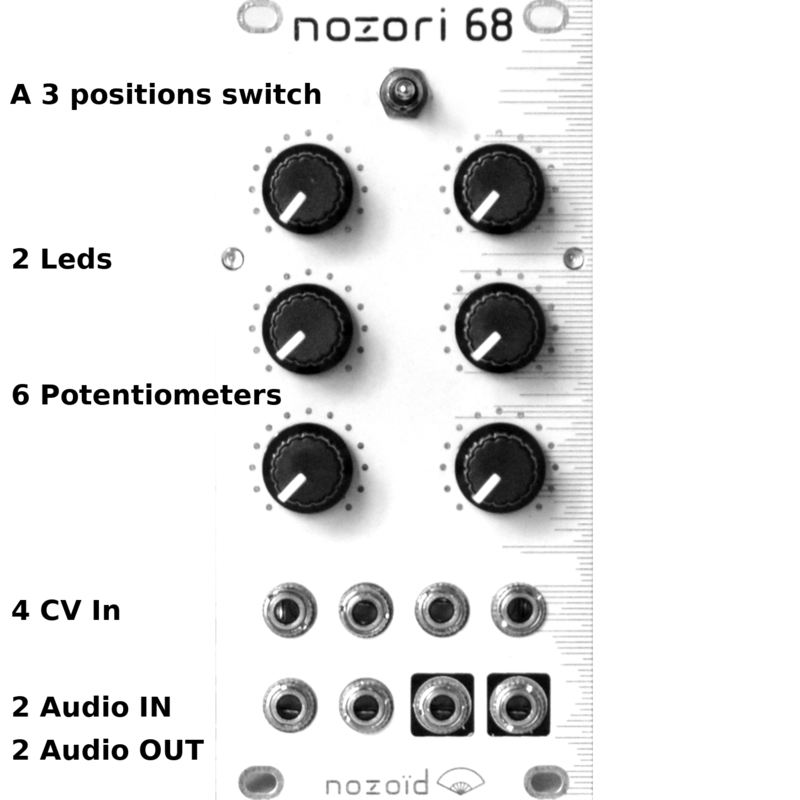 Unleash your experimentation process thanks to a Nozori and enjoy any of the pre-programmed modules. 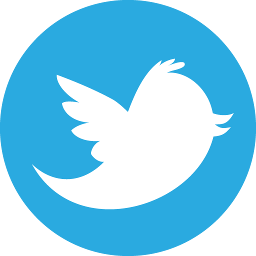 Have a look at this page for more explanations. Optional frontplates are available to see the control parameters of a specific module. 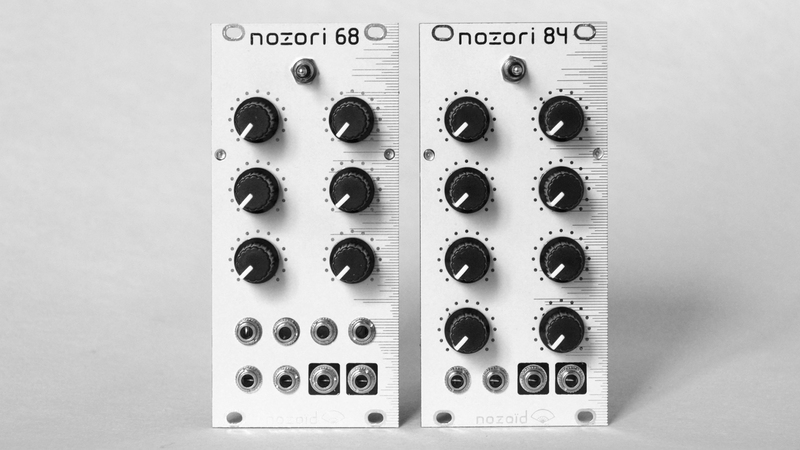 2 Nozori platforms are available. 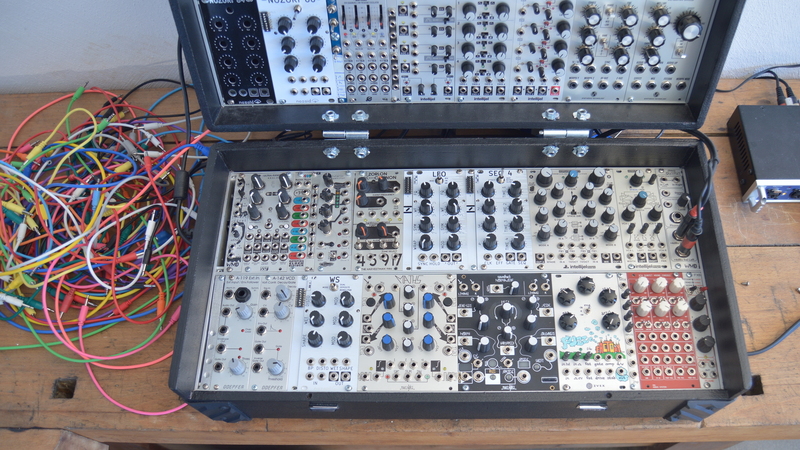 They both are 12U eurorack modules. They come with a reversible white/black front panel. 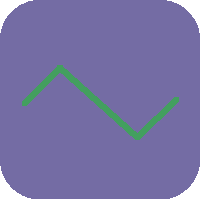 You can flip it to change your module color. 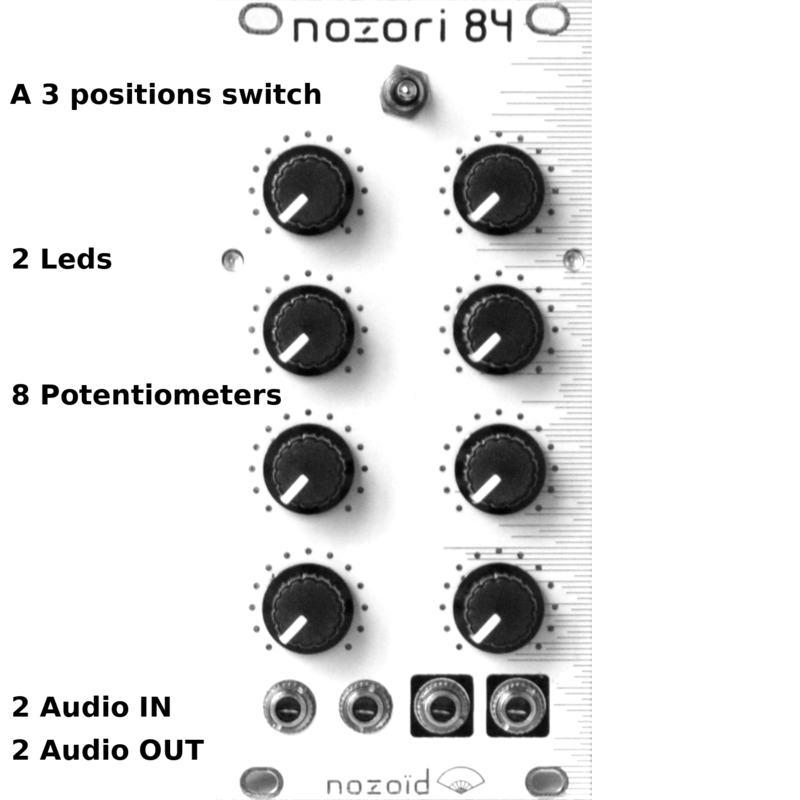 Frontplate can be “plugged” on the Nozori panel to show the control parameters of a specific module. 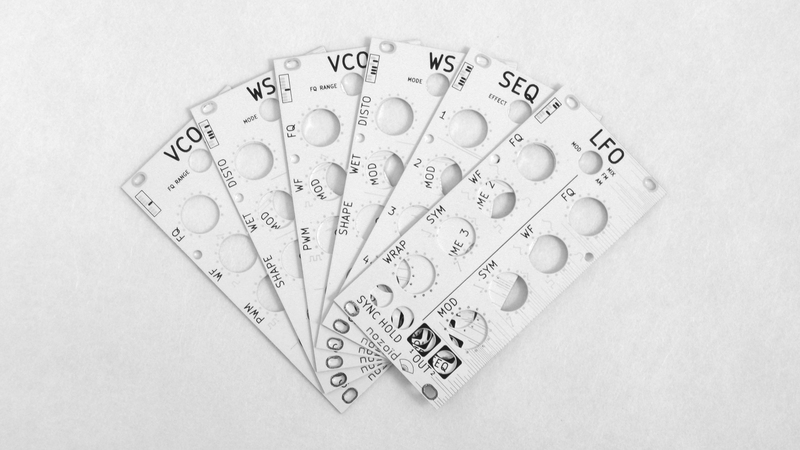 These cards are optional, they only provide a simple and clean way to change the look of the front panel. 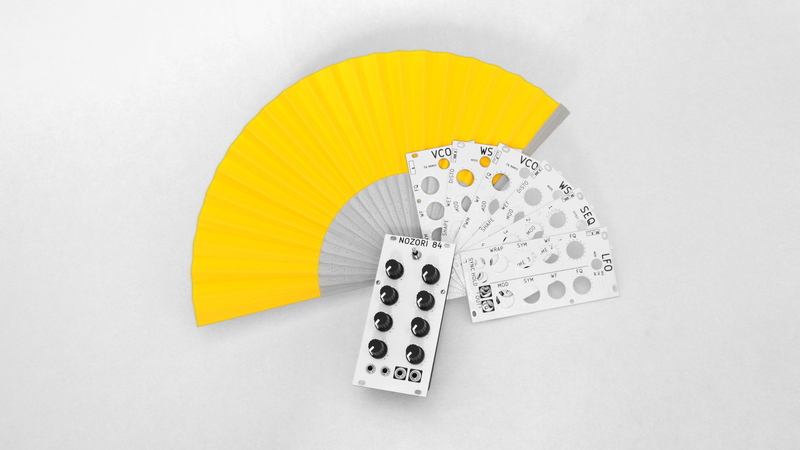 2U expansion boards are also available to expose the jumpers in order to facilitate module switching. 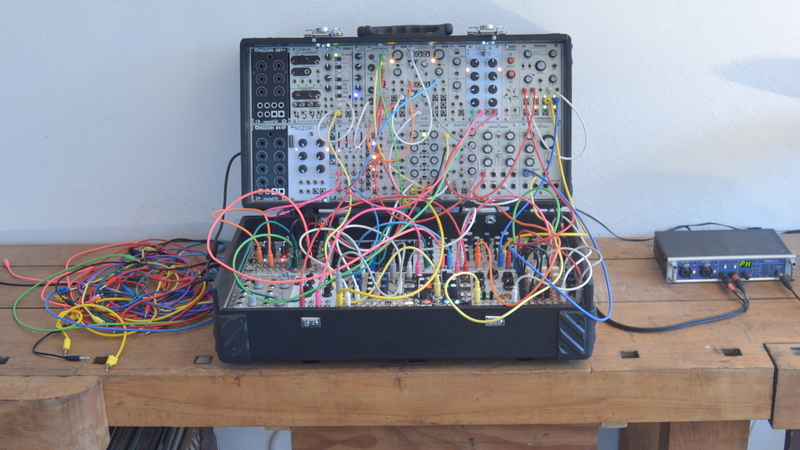 Experiment: one hardware allows more experimentations since you can try many different modules. 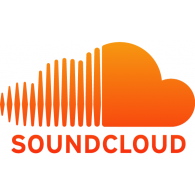 Cost: you do not need to trade your used modules to update your rack. 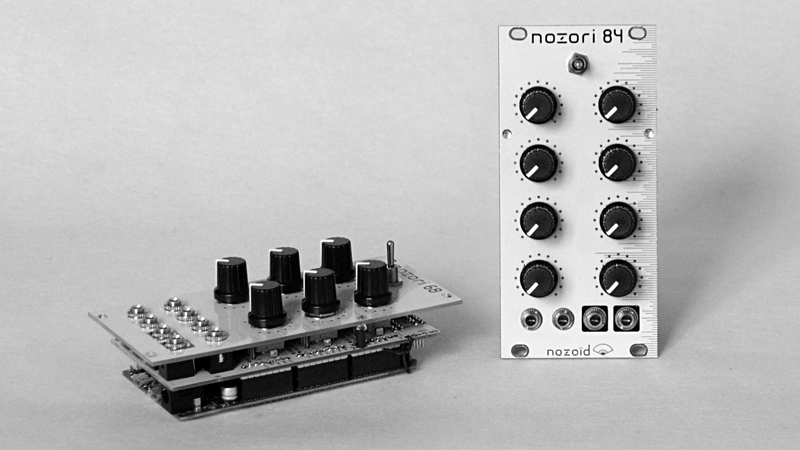 Flexibility: even if your rack evolves, you will always find the perfect module for your nozori platform. 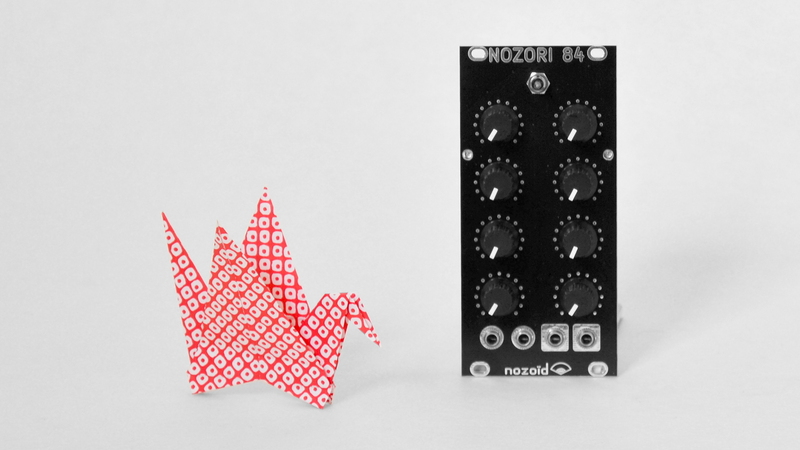 Space saving: since a Nozori can morph into several different modules, a 4 modules rack offers an almost unlimited number of combinations. 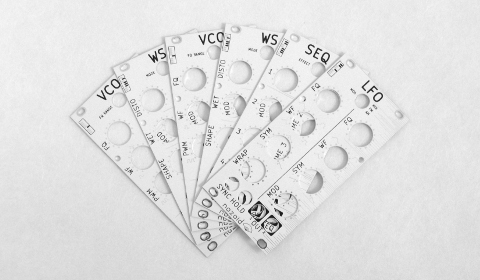 Specificity: very specific modules can be developed and customised. 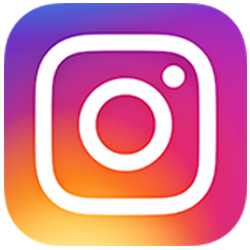 You will be able to find features that other manufacturers do not risk producing. 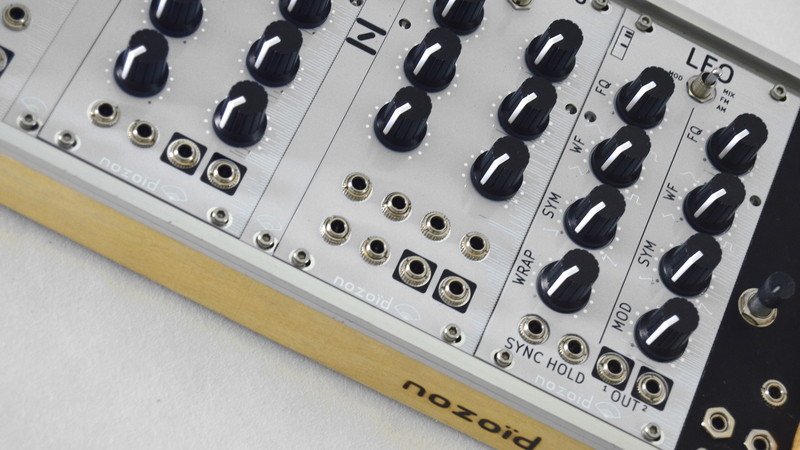 From beginners to professional musicians, having some nozori modules in a rack is a wise choice. (1) : SIN FM, FM LIN and SIN PM share the same front plate. 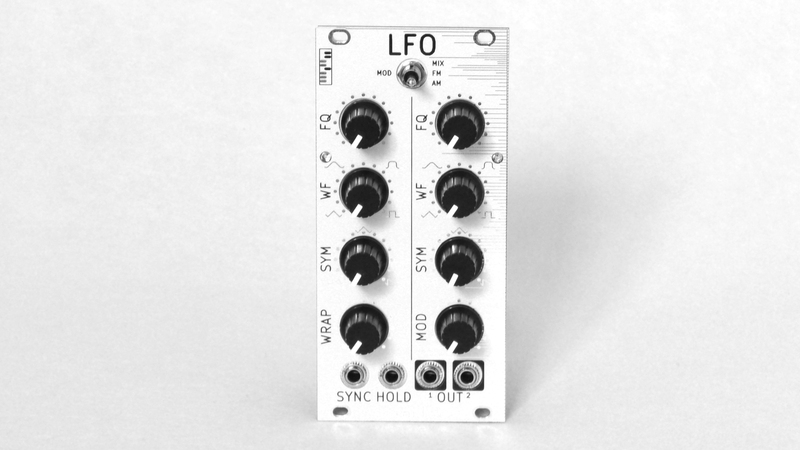 (2) : Jong LFO and JONG VCO share the same front plate. 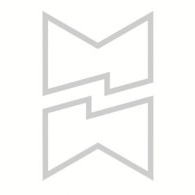 Do you have a module idea that could fit the nozori module specifications? You can download the front face template of a nozori 68 or nozori 84, draw what you want, and send it to me via the contact page. 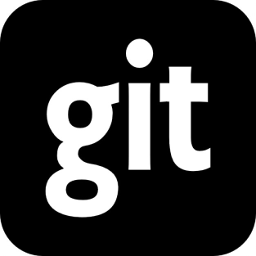 My TODO list is already long, but if I like it, I’ll add it to my list!